Here is our video featuring highlights from the first course of the Bagri Foundation Open Programme at The Prince’s School of Traditional Arts, which aims to expand the Asian arts courses at The School. The Landscape in Guler-Kangra Pahari Painting course, which took place from 15 – 19 June 2015, was taught by Susana Marin, a specialist in the field. Guler-Kangra painting is renowned for its exquisite depiction of Nature echoing the beauty of the Kangra Valley at the foothills of the Western Himalayas, where this art originated. 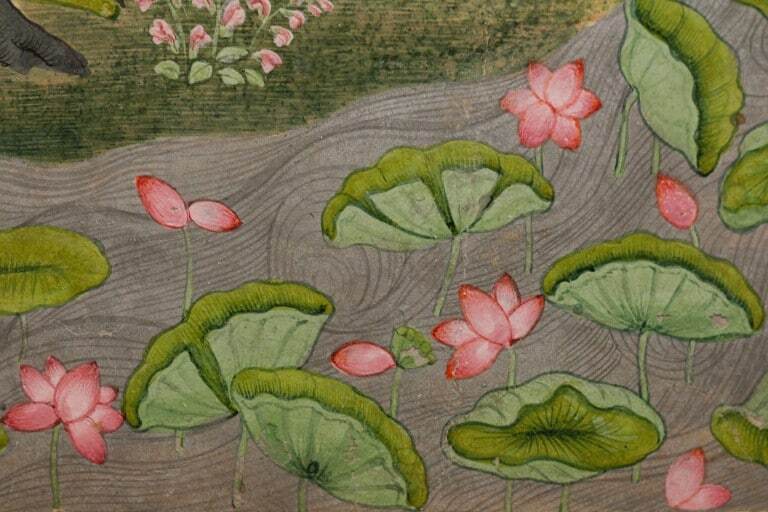 This course explored the representation of Nature in Guler-Kangra idioms and the technique and style of Kangra painting. Participants were shown the stylisation of flora and fauna and landscape treatment and learn about the symbolic meaning that forms of Nature had in Kangra painting.